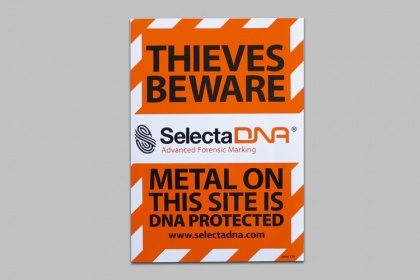 If a thief handles marked goods, SelectaDNA Grease instantly transfers onto their hands and clothing. 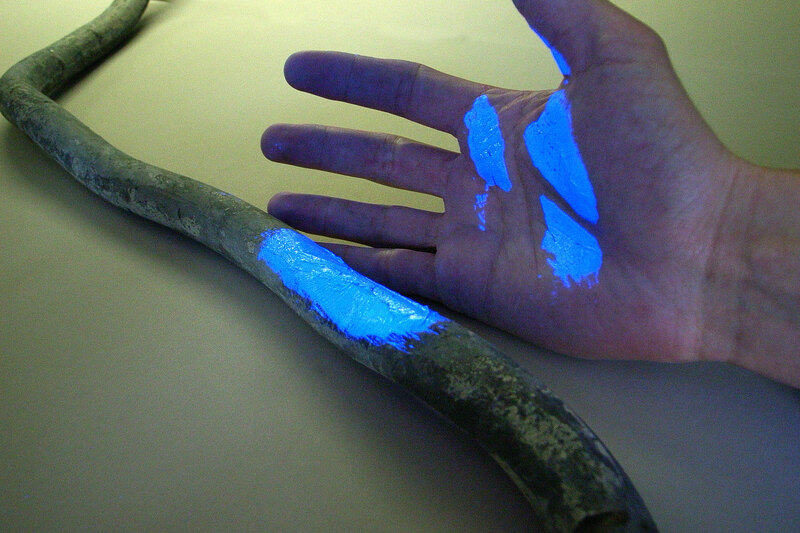 The grease can then remain on skin and clothing for weeks (even after washing), and the unique DNA code irrefutably links the perpetrator to the crime scene. 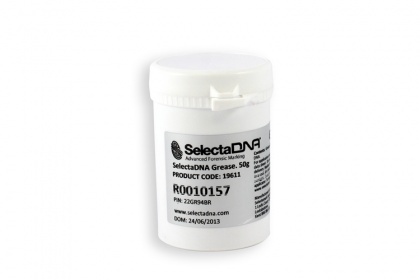 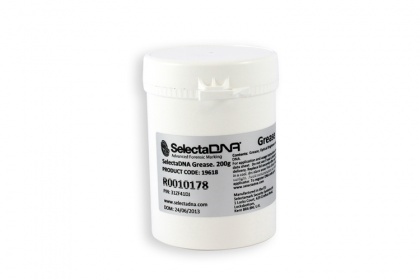 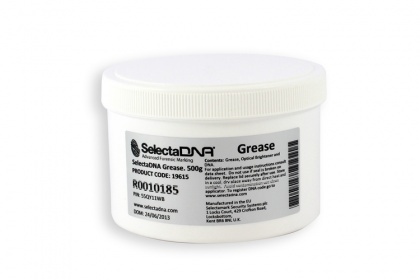 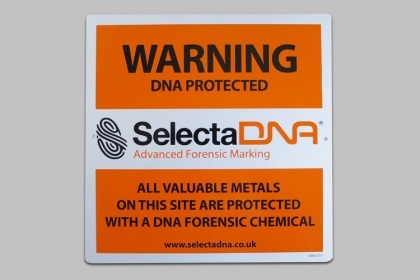 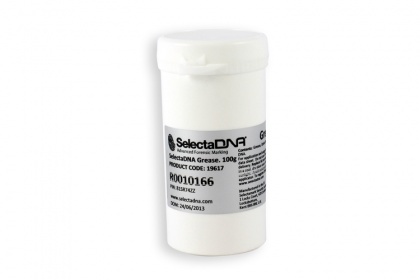 Please find below our range of SelectaDNA Grease and warning signs for you to purchase today. 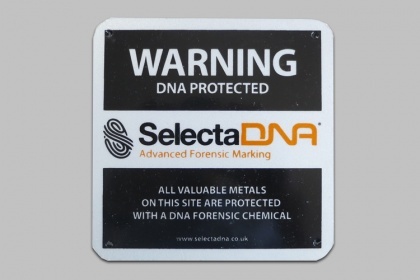 A small (15x15cm) black outdoor warning sign with a reflective coating to attract attention when a light is directed at it during hours of darkness.